Please read all the details of this listing! This listing is for one (1) ready to ship bangle bracelet, featuring mindfulness charms. Only 1 of each available! 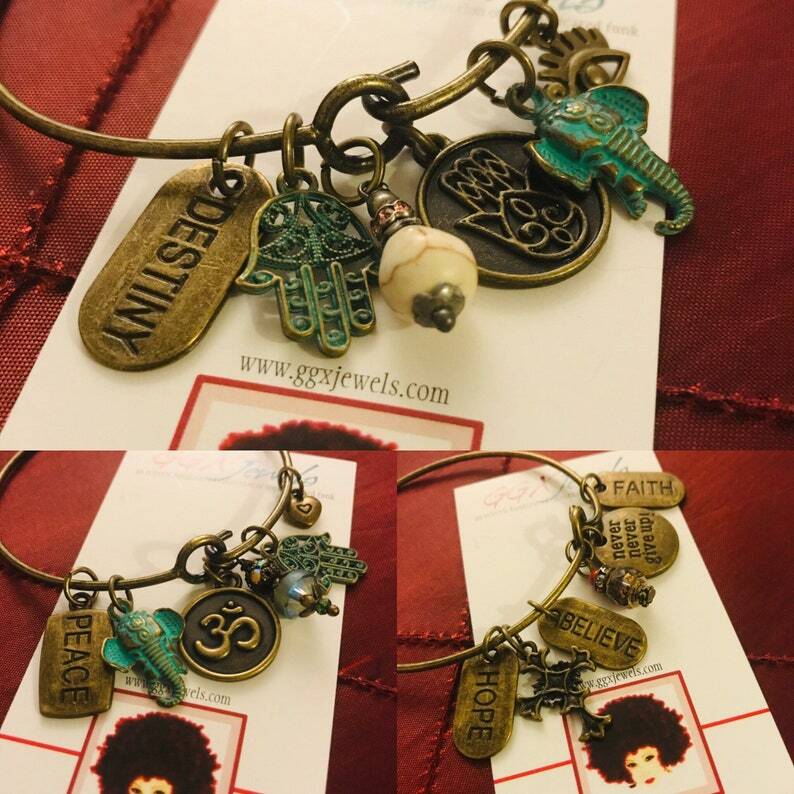 Custom created bracelets can be purchased via a separate custom order request.